We have bought a Howling Moon rooftop tent years ago and we're still very happy with it. It has already been on the most beautiful remote places and we have enjoyed so many nights in it. All the windows are insect screened, so we can leave everything open to watch the game around the tent at night. The tent is very simple to erect, when we arrive at the camp spot it only takes us a few minutes to make camp! And also packing up is very easy. We can leave our bedding in (yes also a nice duvet :-)), so that makes travelling a piece of cake. We have also got an extension which we can zip on if the weather is bad or we need a bit more privacy (or if Roos wants to join in!). Howling Moon is producing a new product called a Half Moon, an awning we can attach to the rooftop tent to extend our living area. 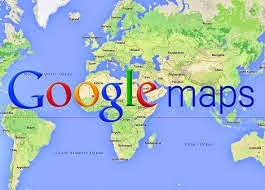 It looks very interesting especially when we camp in Europe, where there is much more chance of rain. So we have ordered an awning and hope to get it in a few weeks time as there was no stock available. Today we visited the Howling Moon Factory in Durban to pick up our tent. There were a few small things which needed attention and they checked everything to make sure that we won't have any problems during our trip. The zip of the entrance was replaced with a stronger quality, as we have to open and close it a lot during the year! Dave Fraser was so kind to also organize an extra window in the tent and to replace our mattress. He also gave us some spares (just in case) and some lubricant to keep the zips running smoothly. The Howling Moon staff are such nice people and very service minded. They always go the extra mile to make sure we are happy. Thanks again Dave and your staff, we really appreciate your help! 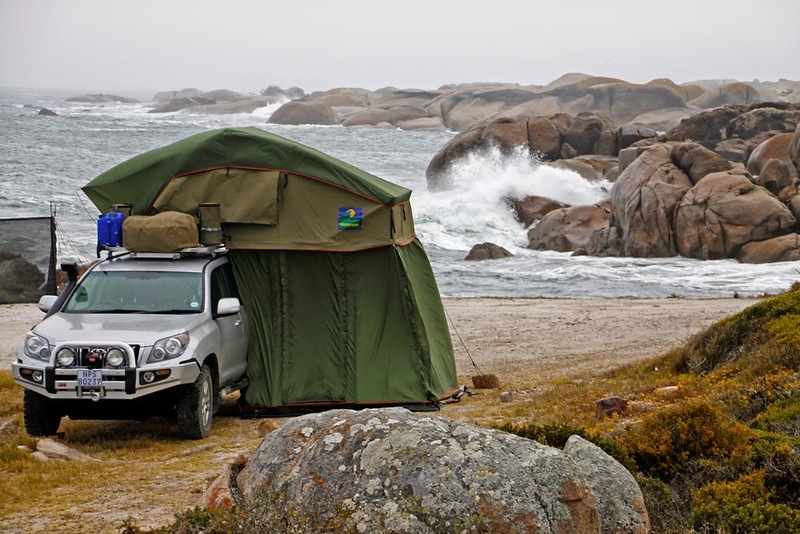 First picture was taken at Henties Bay, South Africa: Howling Moon Tourer with extension and lapa (windscreen). 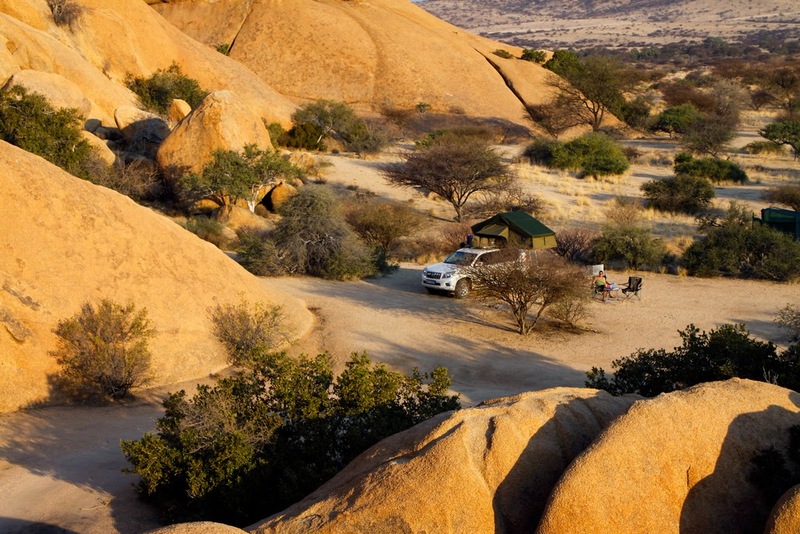 And the second picture was taken at Spitzkoppe, Namibia. Please have a look at the Howling Moon website for all their products!